Home » Hall of Fame » Barnie B. McEntire, Jr.
Barnie McEntire’s love of aviation began as a teenager when he washed Piper Cubs at Columbia’s Owens Field. After graduating from the University of South Carolina, he entered pilot training in 1939, earned his pilot’s wings in 1940 in the Army Air Corps and began a 22-year military career. He served in World War II as chief pilot for Air Transport Command’s North Atlantic Division flying B-24 bombers. In 1946, he organized the first South Carolina Air National Guard units. On February 18, 1959, he earned rank of Brigadier General. He became the first Air National Guard pilot to be proficient in flying a Mach 3 F-104 Star fighter jet in 1960. In November 1961, the Congaree Air Base was officially renamed to honor his dynamic military career as a pilot, general and patriot. McEntire Joint National Guard Station (JNGS) is affiliated with the South Carolina Air National Guard (SCANG). It is located in Eastover, South Carolina and is approximately 15 miles southeast of Columbia. McEntire JNGS is named for the late Brigadier General Barnie B. McEntire, Jr., the first commander of the SCANG and its first general officer. McEntire died in May 1961 when he rode his malfunctioning F-104 into the Susquehannah River to avoid crashing in the populated area of Harrisburg, PA. The base was previously known as Congaree Air Base and was used in World War II as a U.S. Marine Corps training base. It was re-named McEntire ANG Base in October 1961 by Governor Ernest F. Hollings. It was re-named McEntire Joint National Guard Station in 2005 to reflect the joint presence of Army and Air National Guard units. The mission of the 169th FW is to maintain wartime readiness and the ability to mobilize and deploy expeditiously to carry out tactical air missions or combat support activities in the event of a war or military emergency. The SCANG operates as part of the Total Force of the U.S. military and is fully integrated with the active duty Air Force to perform its military mission. The South Carolina Air National Guard also has a state mission, to respond to the call of the governor in the event of natural disaster or domestic disturbance. The 169th FW flies the F-16 Fighting Falcon, a single-seat multi-purpose fighter with the capability to fly at up to twice the speed of sound. The 169th flew the F-16A from 1983-1994. In 1994 the wing transitioned to the F-16C/Block 52, the newest, most advanced F-16 in the Air Force. The SCANG also flies a C-130 Hercules for airlift support. Also located at McEntire are the 240th Combat Communications Squadron, a diversified communications unit with more than 100 members; and the 245th Air Traffic Control Squadron. The many missions of the 240th CCSQ include ground communications, satellite communications and other advanced communications systems.The 245th ATCS has the ability to perform air traffic control at fixed air bases and at remote sites. The SCANG has been called to active military service for five major contingency deployments in its 55-year history. In 1950, SCANG members were called to serve for the Korean War, and its members served at various installations in the United States and abroad. In late 1961, the SCANG was called to active duty during the Berlin Crisis, and the 169th Tactical Fighter Group was stationed at Moron, Spain. In late 1990, units of the SCANG were activated and deployed to Saudi Arabia for Operation Desert Shield/Storm, flying 2,000 combat missions and dropping 4 million tons of munitions, while maintaining the highest aircraft mission capable rate in the theater. In January 2002, aircraft and personnel of the 169th Fighter Wing were deployed to Southwest Asia in support of Operation Enduring Freedom, directly participating in combat operations. In late February 2002, the 240th CCBS deployed a 50-member team to Central Asia in support of President Bush’s war on terrorism. The 240th members returned in August after six months in theater. In September 2002, the 245th ATCS deployed to Afghanistan Asia in support of Operation Enduring Freedom, returning in January 2003. In February 2003, nearly 400 members of the 169th FW and all of its F-16s were mobilized and deployed to Southwest Asia as part of what became Operation Iraqi Freedom. The 169th was attached to the 379th Air Expeditionary Wing, stationed in Qatar. The unit flew more than 400 combat missions, performing the Suppression of Enemy Air Defenses (SEAD) mission and flying numerous precision bombing missions over Iraq. The 169th FW was also a regular participant in the Air Expeditionary Force, which patrolled the Iraqi no-fly zones. The unit has deployed for: Operation Southern Watch (Qatar, 1996), Operation Northern Watch (Turkey, 2000), Operation Southern Watch (Saudi Arabia, 2001). The 169th FW was the first Air National Guard unit to deploy alongside active-duty Air Force units to comprise an AEF. Information courtesy of the SCANG Public Affairs office. The XF-104, Lockheed Model L-246, was designed by “Kelly” Johnson of the famed Skunk Works. Two aircraft (S/N 53-7786 and 53-7787) were built. The first flight was on 5 March 1954. Powered by the Wright J65, the XF-104 flew as fast as Mach 1.7. 17 YF-104A service test aircraft (S/N 55-2955 to 2971) were built with the improved General Electric J79 turbojet. The YF-104A (55-2955) exceeded Mach 2 on 28 February 1956. The pre-production Block 1 F-104As (S/N 56-730 to 736) along with the YF-104As were retrofitted during testing to solve various problems revealed during the program including pitch-up, low speed handling, and engine problems. (Aircraft description from T.O. 1F-104A-1) F-104 aircraft are high-performance day and night fighters powered by an axial-flow, turbojet engine with afterburner. F-104A and C are single place aircraft, built by Lockheed Aircraft Corporation, are designed for cruise at high subsonic speeds and combat at high supersonic speeds. Notable features of the aircraft include extremely thin flight surfaces, short straight wings with negative dihedral, irreversible hydraulically powered ailerons, and a controllable horizontal stabilizer. The wings, with leading and trailing edge flaps, have a boundry layer control system which is used in conjunction with the trailing edge flap to reduce landing speeds. A drag chute is installed to reduce the landing roll. MAP – Military Assistance Program – US built for other countries. Consortium – Built by using (non-US) country. 22 F-104As were converted to QF-104 target drones. Weight: 25,300 lbs. (tip tanks and pylon tanks); 19,600 lbs. gross wt. with no external load. Armament: Basic armament consists of two AIM-9B air-to-air guided missiles, carried one on each wing tip in place of the tip tanks. Aircraft also incorporates a M61 20mm electrically operated gun located on the lower left side of the forward fuselage. Its ammunition supply of 725 rounds is fired at an average rate of 4000 rounds per minute. Range: Approximately 1,820 nautical miles with two 170 gallon tip tanks and two 195 gallon pylon tanks (dropped when empty) using cruise climb profile: 8.5 min. time-to-climb, 26,000 ft. initial, 39,000 ft. final at approximately .85 Mach for 3 hr. 35 min. With no external stores: 1,120 nm., 2 hr. 13 min., 6 min. time-to-climb 33,000 initial, 40,000 ft. final. Side view – S/N 53-7786, the first XF-104 on Rogers Dry Lake, Air Force Flight Test Center, Edwards AFB, CA. The XF-104 is easily distinguished by the lack of inlet shock cones and the short fuselage. Side view (color) – F-104A-20-LO S/N 56-0791 of the 83rd Fighter Interceptor Squadron at Taeyan AB, Taiwan, 15 Sep. 1958 during the Quemoy Crisis (Operation Jonah Able). 2 aircraft formation – F-104A-15-LO S/N 56-0769 and 56-0781. In flight (color) – F-104A-10-LO S/N 56-0761. Note the tip tanks and pylon tanks. NF-104A – Our May 97 “From the Archives” feature. and an F-104A on display in front of the Museum complex. This is the sixth in our series on the history of the first Air National Guard units. On, December 9, 1946, 26 World War II veterans gathered at Congaree Air Base, a few miles east of Columbia, South Carolina, the first meeting for federal recognition of the South Carolina Air National Guard (SCANG). Composed of the 157th Fighter Squadron; 157th Weather Station; Utility Flight 157th Squadron; and Detachment B, 216th Air Base Group, the South Carolina Air Guard was a whole 52 membets strong, broken down to 14 officers and 38 enlisted men that December. The previous summer General James C. Dozier, the adjutant general of South Carolina, had appointed Maj Robert H. Morrell as one of the 157th’s first members. These two men were charged with recruiting, organizing and administering the new air arm of the South Carolina Guard. Congaree was built as an Army Air Corps facility in 1942 and served as a training base for the Army Air Force (AAF) P-38 and P-47 pilots until December 1943. In the spring of 1944, the AAF turned the base over to the Navy to be used as a Marine Corps air station to train fighter pilots. Congaree was closed at the end of World War II (WWII). South Carolina’s first Air Guard commander was then Lt Col Barnmie B. McEntire Jr, was a veteran pilot of the Air Transport Command during WWII. McEntire began his flying career as a teenager washing airplanes at Owens Field, South Carolina. 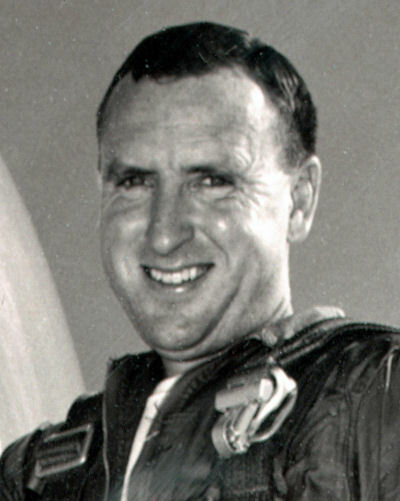 McEntire would become the youngest general in the Air Guard before his untimely death in 1961 when his F104 flamed out on take off from Olmstead Air Force Base, Pennsylvania. Rather than bailing out over a populated area, General McEntire guided his disabled aircraft onto an uninhabited island in the Susquehanna River In November 1961, Congaree was renamed McEntire Air Force Base to honor the general’s memory. Morrell became the second commander of the SCANG, serving until 1976. The SCANG was called to active duty twice under Gen McEntire and Morrell’s leadership. In October 1950, the unit was activated for the Korean War and assigned to 14th Air Force. At this time, the SCANG was reassigned from F-5 Is to RF-80s, serving at Furstenfelbmk AB, Germany. Four pilots volunteered for duty in Korea, and after the war, three remained in the Air Force. Capt Eddie R. Elkin, who flew night medium bomber missions, returned to South Carolina, becoming the unit’s only pilot to fly combat missions in both WWII and Korea. Released from active duty in 1952, the SCANG changed from flying F-5 Is to F80s to F-86s while performing runway alert missions. Early in 1960, South Carolina became the first Air Guard unit in the nation to receive the F-104 Starfighter Shortly thereafter, the South Carolina Air Guard was activated again, this time for the Berlin Crisis. The majority of the 747 men called to active duty left from McEntire in November for assignment to Moron AB, Spain. Other members would serve at bases in France and Germany until the unit was released from active duty in August 1962. It was during this call-up that the SCANG adopted its unit symbol, “Swamp Fox,” given by the British to the state’s Revolutionary War general, Francis Marion. Upon release from active duty, the unit resumed its air defense role, transitioning in 1963 to the F-102 Delta Dagger. The F-102 remained in the SCANG until 1974. After the Vietnam War ended, the SCANG was reassigned to the Tactical Air Command (TAC) in A-7D aircraft. The SCANG met these challenges by becoming the first Air Guard unit in the nation to: receive an operational readiness inspection while deployed in 1976; deployed from home station to Hawaii in 1977; and deployed overseas for annual training in 1978. In 1983, the SCANG set another precedent when it became the first Guard unit in the nation to be assigned the F-16A Fighting Falcon. It was in the F-16 that the SCANG distinguished itself during the Gulf War Activated in November 1990, the SCANG began deploying to Al Kharj AB, Saudi Arabia. By the time DESERT STORM began, 24 F-16s, 42 pilots and 757 support personnel had deployed to the base 60 miles southeast of Riyadh. During the war, the unit flew 1,359 sorties, dropping almost 4 million pounds of bombs, and achieving an 87 percent fully mission capable rating, the highest of any American Air Force unit in the theater of operations. In 1994, South Carolina’s 169th Fighter Wing became the first Air Guard unit to receive new F-16C Block 50 aircraft right off the assembly line, and in 1996, it became the first unit in 9th Air Force history to receive an overall outstanding on its operational readiness inspection. At the half-century point, the SCANG continues to serve the nation around the world. In 1997, the SCANG had units performing duty in Hungary in support of Operation JOiNT GUARD, in Qatar as part of an Air Force Air Expeditionary Force, and Costa Rica for the National Guard Bureau’s nation building program. Beginning with a small group of men in December 1946, the SCANG’s tradition of service to nation, state and community has continued unbroken to this day for more than a half century.